A 96-year-old woman was seriously injured in a two-car collision outside Chichester on Saturday (February 2), Sussex Police has confirmed. 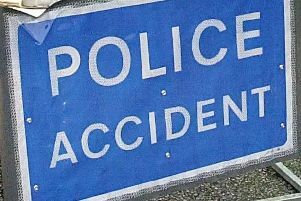 Police have asked anyone who may have seen the accident at the junction of the A286 Birdham Road and Wophams Lane, near Apuldram, on Saturday morning to get in touch. A police spokesman said: "It happened shortly after 11am and involved a red Kia Picanto, driven by a 93-year-old man from Bognor Regis, and a black Vauxhall Zafira, driven by a 53-year-old woman from Hambrook. "Both drivers sustained bruising and were treated at St Richard's Hospital, Chichester, but the front seat passenger in the Kia, a 96-year-old woman from Bognor Regis, suffered serious injuries." Police said the woman was flown to the Royal Sussex County Hospital, Brighton, by the Kent, Surrey and Sussex air ambulance. "The junction was closed to traffic for more than five hours while the incident was being dealt with," the spokesman added. "Anyone who saw what happened, or who may have dash-cam footage of the crash, is asked to contact Sussex Police online or by phoning 101, quoting Operation Dovenby."